Rodney Hood is a Corporate Responsibility Manager at JPMorgan Chase & Co. He works in the newly-created Office of Nonprofit Engagement where he is responsible for managing relationships & strategy with national organizations that assist the bank in strengthening communities by spurring small business development, creating opportunities for financial capability, and providing sustainable homeownership. Prior to joining JPMorgan Chase, Mr. Hood was appointed by President George W. Bush and confirmed by the United States Senate as Vice Chairman of the National Credit Union Administration (NCUA), the regulatory body for America’s credit union system. While at NCUA, he served on the Board of Directors of NeighborWorks America along with counterparts from the FDIC, OCC, Federal Reserve, and HUD. Prior to NCUA, Mr. Hood served as a Presidential-Appointee at the U.S. Department of Agriculture where he was the Deputy Administrator of the Rural Housing Service. Before public service, Mr. Hood held management positions in retail finance, commercial banking, affordable housing, and community development lending at G.E. Capital, NationsBank, and Wells Fargo. Named a “Young Global Leader” by the World Economic Forum in February 2008, Mr. Hood is a delegate to the group’s Annual Economic Conference in Davos, Switzerland. In addition, he was also named a Young Leader by the American Council on Germany and serves as a delegate on many of the organization’s cultural & business exchange programs in Berlin and Munich. Mr. Hood was also named one of the “40 Young Leaders Under the age of 40” by the Triangle Business Journal. 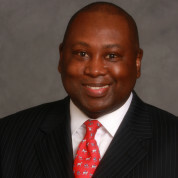 The North Carolina Legislature recently elected him to serve as a member of the Board of Governors for the University of North Carolina College System. In this role, Mr. Hood provides policy oversight, financial stewardship, and corporate governance for the state’s 17 public universities; 220,000 college students; 45,000 system-wide faculty and staff; and the UNC-branded hospitals, public radio, and public broadcasting stations. He sits on both the Audit Committee (Vice Chairman) and the Educational Policy & Planning Committee. A native of Charlotte, North Carolina, Mr. Hood holds a BA degree with Distinction in Business, Communications, and Political Science from the University of North Carolina at Chapel Hill. Mr. Hood serves as a Panelist with the National Endowment for the Arts where he helps the Agency evaluate opera companies for federal grants. He is very active in the Episcopal Church where he currently serves as a Lay Eucharistic Minister and Lector. His hobbies include fly-fishing, tennis, wine-collecting, and writing his soon-to-be-released book on opera.